Do You Still Believe in a Future for Humanity? The Canada-India Nuclear Cooperation Agreement was ratified this week. However, analysts note that India has illegally produced nuclear weapons in the past and refuses to sign the Non Proliferation Treaty. Analysts accuse the Harper government of displaying a double standard by consenting to the sale of nuclear ingredients to India, which has not signed the Non Proliferation Treaty, while constantly criticizing Iran's peaceful nuclear program even though Iran poses no threat to Canadians and has signed the NPT. Many Canadians are displeased with the Harper government’s decision to sell uranium and nuclear technology to a country that refuses to sign the NPT. and much of it will now be exported to the Indian subcontinent. 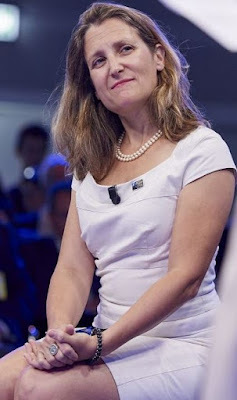 Analysts believe that those who control the Harper government are seeking to use Canada’s resources as a bargaining chip to entice India away from its Non Aligned, anti-imperialist heritage, bringing it closer to the Western imperialist states that are waging a war on the Muslim world including in Pakistan, a country which India is at odds with. During his visit to India Prime Minister Stephen Harper made reference to Canada and India's shared concerns with terrorism. However many have noted that the Mumbai terrorist incidents of 2008 have all the hallmarks of a false-flag operation. Many believe that the West is encouraging religious sectarianism in India which will make it easier for India to be re-colonized and used as a pawn in the West’s anti-Islam agenda. My cynicism about the stupidity of the American public would have increased exponentially if Mitt Romney would have been elected president. In over 50 years of voting and 25 years of working professionally in the world of politics and public policy I had never seen such outrageous and persistent lies, distortions and intellectual insults from a presidential candidate. Please note that I was not an Obama supporter; I proudly voted for the Libertarian candidate. Repeatedly, Romney sold his soul to first get the Republican nomination and then attempt to win the presidency. For such a supposedly religious person he had no difficulty in saying anything to win support, despite contradictions with his previous positions and statements as well as with objective facts. The only thing you could trust about him was his love for his family and religion, and oh yes his quite negative view of 47 percent of the American public muttered when he thought he was only talking to a bunch of his rich supporters. But for such callous behavior he deserves to go to Mormon hell for lying to so many, including himself apparently because he could justify just about anything because the end of becoming president justified all means. 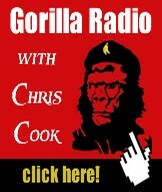 Billions of dollars wasted propagating lies from both sides designed to piss off or frighten people. Happy to see all those millionaires and billionaires wasting their money on the Romney campaign. Now, every one of them should donate equal amounts to the recovery efforts related to the Sandy Hurricane disaster. Fort Nelson First Nation of northeast BC has worked with the natural gas industry and government to provide economic opportunities for it members and the entire province through responsible resource development. But the BC Liberal Government's intention to issue a number of long-term water withdrawal licenses permitting companies to divert and contaminate billions of litres a year of water from their rivers for shale gas has forced the Echo Dene people to stand in defence of their traditional territory and life-sustaining environment. After pursuing every other avenue available to it - including repeated efforts to reach out to the Province, which have gone ignored - Fort Nelson First Nation feels it must now appeal to the public for support to put a stop to this plan and ensure the public and First Nations are properly consulted in the development of a responsible water management plan. Tuesday, November 13, Chief, Council and community members will be in Vancouver to share their story. Water and Energy expert Ben Parfitt of the Canadian Centre for Policy Alternatives will contribute his insights to the panel as well. 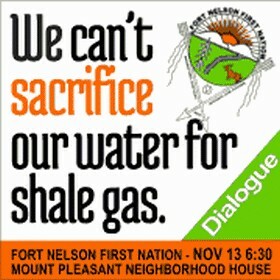 Don't miss this unique opportunity to hear the perspective of Fort Nelson First Nation on water and shale gas issues in northeast BC and to learn how you can help their important cause. 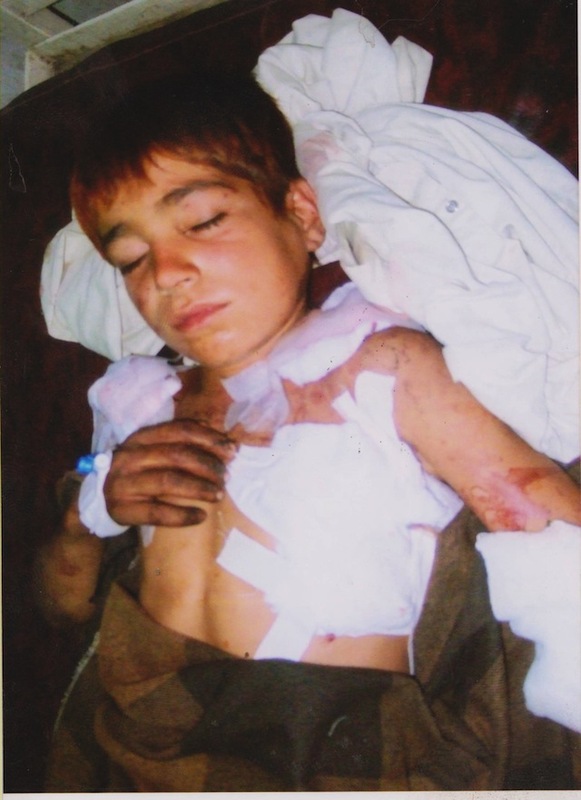 Dead Enough: The Reality of the "Lesser Evil"
This little boy was named Naeemullah. He was in his house -- maybe playing, maybe sleeping, maybe having a meal -- when an American drone missile was fired into the residential area where he lived and blew up the house next door. As we all know, these drone missiles are, like the president who wields them, super-smart, a triumph of technology and technocratic expertise. We know, for the president and his aides have repeatedly told us, that these weapons -- launched only after careful consultation of the just-war strictures of St. Augustine and St. Thomas Aquinas -- strike nothing but their intended targets and kill no one but "bad guys." Indeed, the president's top aides have testified under oath that not a single innocent person has been among the thousands of Pakistani civilians -- that is, civilians of a sovereign nation that is not at war with the United States -- who have been killed by the drone missile campaign of the Nobel Peace Prize Laureate. Yet somehow, by some miracle, the missile that roared into the residential area where Naeemullah lived did not confine itself neatly to the house it struck. Somehow, inexplicably, the hunk of metal and wire and computer processors failed -- in this one instance -- to look into the souls of all the people in the village and ascertain, by magic, which ones were "bad guys" and then kill only them. Somehow -- perhaps the missile had been infected with Romney cooties? -- this supercharged hunk of high explosives simply, well, exploded with tremendous destructive power when it struck the residential area, blowing the neighborhood to smithereens. As Wired reports, shrapnel and debris went flying through the walls of Naeemullah's house and ripped through his small body. When the attack was over -- when the buzzing drone sent with Augustinian wisdom by the Peace Laureate was no longer lurking over the village, shadowing the lives of every defenseless inhabitant with the terrorist threat of imminent death, Naeemullah was taken to the hospital in a nearby town. This is where the picture of above was taken by Noor Behram, a resident of North Waziristan who has been chronicling the effects of the Peace Laureate's drone war. When the picture was taken, Naeemullah was dying. He died an hour later. How would you feel if you saw them ripped to shreds by flying shrapnel, in your own house? How would you feel as you rushed them to the hospital, praying every step of the way that another missile won't hurl down on you from the sky? Your child was innocent, you had done nothing, were simply living your life in your own house -- and someone thousands of miles away, in a country you had never seen, had no dealings with, had never harmed in any way, pushed a button and sent chunks of burning metal into your child's body. How would you feel as you watched him die, watched all your hopes and dreams for him, all the hours and days and years you would have to love him, fade away into oblivion, lost forever? What would you think about the one who did this to your child? Would you say: "What a noble man of integrity and decency! I'm sure he is acting for the best." Would you say: "Well, this is a bit unfortunate, but it's perfectly understandable. The Chinese government (or Iran or al Qaeda or North Korea or Russia, etc. etc.) believed there was someone next door to me who might possibly at some point in time pose some kind of threat in some unspecified way to their people or their political agenda -- or maybe it was just that my next-door neighbor behaved in a certain arbitrarily chosen way that indicated to people watching him on a computer screen thousands of miles away that he might possibly be the sort of person who might conceivably at some point in time pose some kind of unspecified threat to the Chinese (Iranians/Russians, etc. ), even though they had no earthly idea who my neighbour is or what he does or believes or intends. I think the person in charge of such a program is a good, wise, decent man that any person would be proud to support. Why, I think I'll ask him to come speak at my little boy's funeral!" Is that what you would say if shrapnel from a missile blew into your comfortable house and killed your own beloved little boy? You would not only accept, understand, forgive, shrug it off, move on -- you would actively support the person who did it, you would cheer his personal triumphs and sneer at all those who questioned his moral worthiness and good intentions? Is that really what you would do? Well, that is what you are doing when you shrug off the murder of little Naeemullah. You are saying he is not worth as much as your child. You are saying he is not a fully-fledged human being, a beloved soul of infinite worth. You are saying that you support his death, you are happy about it, and you want to see many more like it. You are saying it doesn't matter if this child -- or a hundred like him, or a thousand like him, or, as in the Iraqi sanctions of the old liberal lion, Bill Clinton, five hundred thousand children like Naeemullah -- are killed in your name, by leaders you cheer and support. You are saying that the only thing that matters is that someone from your side is in charge of killing these children. This is the reality of "lesser evilism." Before the election, we heard a lot of talk about this notion of the "lesser evil." From prominent dissidents and opponents of empire like Daniel Ellsberg and Noam Chomsky and Robert Parry to innumerable progressive blogs to personal conversations, one heard this basic argument: "Yes, the drone wars, the gutting of civil liberties, the White House death squads and all the rest are bad; but Romney would be worse. Therefore, with great reluctance, holding our noses and shaking our heads sadly, we must choose the lesser evil of Obama and vote accordingly." I understand that argument, I really do. I don't agree with it, as I made plain here many times before the election. I think the argument is wrong, I think our system is so far gone that even a "lesser evil" is too evil to support in any way, that such support only perpetuates the system's unconscionable evils. But I'm not a purist, not a puritan, not a commissar or dogmatist. I understand that people of good will can come to a different conclusion, and feel that they must reluctantly choose one imperial-militarist-corporate faction over the other, in the belief that this will mean some slight mitigation of the potential evil that the other side commit if it took power. I used to think that way myself, years ago. Again, I now disagree with this, and I think that the good people who believe this have not, for whatever reason or reasons, looked with sufficient clarity at the reality of our situation, of what is actually being done, in their name, by the political faction they support. But of course, I am not the sole arbiter of reality, nor a judge of others; people see what they see, and they act (or refrain from acting) accordingly. I understand that. But here is what I don't understand: the sense of triumph and exultation and glee on the part of so many progressives and liberals and 'dissidents' at the victory of this "lesser evil." Where did the reluctance, the nose-holding, the sad head-shaking go? Should they not be mourning the fact that evil has triumphed in America, even if, by their lights, it is a "lesser" evil? If you really believed that Obama was a lesser evil -- 2 percent less evil, as I believe Digby once described the Democrats in 2008 -- if you really did find the drone wars and the White House death squads and Wall Street bailouts and absolution for torturers and all the rest to be shameful and criminal, how can you be happy that all of this will continue? Happy -- and continuing to scorn anyone who opposed the perpetuation of this system? So where is the mourning for the fact that we, as a nation, have come to this: a choice between murderers, a choice between plunderers? Even if you believe that you had to participate and make the horrific choice that was being offered to us -- "Do you want the Democrat to kill these children, or do you want the Republican to kill these children?" -- shouldn't this post-election period be a time of sorrow, not vaulting triumph and giddy glee and snarky put-downs of the "losers"? If you really are a "lesser evilist" -- if this was a genuine moral choice you reluctantly made, and not a rationalization for indulging in unexamined, primitive partisanship -- then you will know that we are ALL the losers of this election. Even if you believe it could have been worse, it is still very bad. You yourself proclaimed that Obama was evil -- just a bit "lesser" so than his opponent. (2 percent maybe.) And so the evil that you yourself saw and named and denounced will go on. Again I ask: where is the joy and glory and triumph in this? Even if you believe it was unavoidable, why celebrate it? And ask yourself, bethink yourself: what are you celebrating? This dead child, and a hundred like him? A thousand like him? Five hundred thousand like him? How far will you go? What won't you celebrate? And so step by step, holding the hand of the "lesser evil," we descend deeper and deeper into the pit. In Malaysia, a small group of community activists are busy at work developing projects that benefit most vulnerable members of Palestinian society in Gaza. Working under the umbrella of Viva Palestina Malaysia (VPM), the group shows solidarity through empowerment projects: interest free loans for micro projects, providing employment for women, supplying thousands of solar lamps aimed at ending the persistent darkness for many families, and more. The overall value of the combined efforts of VPM is important, because it is long-lasting. But equally important, the channeled funds are not part of a political scheme nor are aimed to exact concession. This can hardly be said of much of the relationship between Palestinian leadership and society, and outside funds, which began pouring in, with a clear political manual that has been dutifully followed by those who provide the funds and those who receive them. That relationship was once more a subject of scurrility and discussion following the recent visit by Sheikh Hamad bin Khalifa Al Thani, emir of Qatar to Gaza, which has been under an Israeli siege soon following Hamas’ victory in the general elections in 2006. The siege became complete in 2007, when Hamas clashed with its rival Fatah, perceived by Israel and the US as ‘moderate’. Analysts, depending on their political leanings, however, spoke of entirely different mechanism that compelled Qatar’s generosity. Those sympathetic to Fatah warned that empowering Hamas in the Gaza enclave to act as a state will further deepen the national divide. Others spoke more candidly of a Qatari reward to Hamas for leaving Syria at the height of the regional power play ignited by the so-called Arab Spring. Judging by the largely measured or reserved response from Israel, the US and other countries that would have made it impossible for the emir to visit Gaza in the first place, Syria might have been the keyword behind the seemingly selfless effort. But in any case, there are hardly any inconsistencies between this episode and a history rife of the political manipulation of funds. It is an intrinsic relationship that goes even earlier than the signing of the Oslo Accords in September 1993. Oslo, however, officiated and cemented that relationship in many respects. Merely two weeks after the signing of the Declaration of Principles (DoP) issues of international aid became a core subject involving mostly Western donor countries, Arab countries and others. Although the political dominion of Oslo is all but dead, international aid continues to flow. The rise and decline in funds are often affiliated with the Palestinian Authority (PA) report card, as in its ability to sustain a political charade and serve as Israel’s ‘partner’ despite the fact that Israel has completely altered the physical reality upon which Oslo was predicated. Despite appearances, Mahmoud Abbas’ PA is much less immune to political arm-twisting as a result of its nearly two-decade entanglement of the international aid cartel, than Hamas. The latter, hardly immune itself is barely learning the ropes. They too will eventually learn that there is no such thing as free money, especially when those offering their services are very much at the heart of the political struggle for the future of the Middle East. The link between political statements and action, and money is obvious for all to see. What may appear as political concessions can oftentimes be attributed to some frozen or funds waiting to be delivered. It is transaction-based politics at its best. While the PA’s budget deficit stands at $1.3 billion, old friends are barely in a hurry to offset the financial crisis. The US is yet to free $200 million it pledged for the year 2012. The decision has everything to do with the PA’s attempt last year to obtain a UN membership for Palestine. Israel on the other hand, agreed to an early transfer of $78 million of tax revenues it collects on behalf of the PA fearing that a collapse of PA institutions could prove too costly for Israel as well. With the conspicuous retreat of international donors, and the measured Israeli moves, Israel is now earning a greater stake in the PA political investment in the West Bank. Israel is notorious for manipulating the weaknesses of the PA whenever the opportunity arises, as it surly will. The financial entanglement of the Palestinians to obtain political goals is not confined to such obvious examples. In fact that political/financial barter is a major component that defines the relationship between Palestinian leaderships and factions and their supporters. It is the same paradigm that turned thousands of NGOs in Palestine into disconnected entities, less concerned with uniting behind a national liberation program, and more concerned with maintaining attractive portfolios that make their services more marketable among potential donors, mostly affiliated with the donors’ countries that have long leased the Palestinian political will in the first place. It is difficult to say what it will take to free the Palestinian leadership and society from these impossible entanglements. But it goes without saying that those who rent their sovereignty to the highest bidder have no business speaking of national liberation, popular resistance and all the right sounding, but empty slogans. Thousands of people in NYC are living without heat and power with little support from government agencies. To fill the void, people are organizing to meet the basic needs of residents in the disaster’s aftermath. Where CIDA has already been providing technical support on mining law and administrative reforms in other countries, its track record has been to weaken state controls, privatize state industry, and reduce royalties, taxes, and other measures to capture economic benefits in order to attract foreign investment. Jihan Kazerooni and I drove past scores of armed riot police on Budaiya highway as her iPhone buzzed non-stop: phone calls, Skype calls and, incessantly, Twitter. I had wondered what the phrase “Twitter revolution” really meant when I heard it used in connection with Iran in 2009 and Egypt in 2011. Here, in the small Gulf Kingdom of Bahrain, I was beginning to grasp the concept. Ignoring the revolution underway there and its demands for freedom and democracy is, however, perilous. If activists move from largely peaceful demonstrations toward the use of violence, Bahrain could prove the powder keg that might set the Persian Gulf aflame. Peaceful activists like Jihan currently hold sway, but given the brutality I witnessed, it’s unclear how long the Bahraini revolution will remain nonviolent. Jihan took me under her wing, introducing me to dozens of Bahrainis who had been directly affected by the regime’s crackdown on the pro-democracy uprising. They were not difficult to find. There was someone in nearly every Shi’a family, Jihan’s included, who had been fired from his or her job, arrested, injured, or killed. Sunni opposition activists (though much fewer in number) had been harshly targeted as well. Jihan, her hair tucked underneath a brown silk scarf and wearing fashionable sunglasses, opened an app on her phone as we tried to reach the march that had been called by a coalition of opposition parties. “I’ll tweet that I am here in Budaiya Road, and there are no checkpoints in the area, but there are lots of riot police.” A new tweet came through before Jihan could finish composing hers. She scanned it quickly as she skillfully guided her car around a traffic circle. “Okay. The attack started,” she said. “It’s just at the next roundabout. We might be able to see it from the car.” Jihan rolled down the window. “Can you smell the tear gas?” she asked, began coughing, and immediately rolled her window up again. Jihan had not started out as an activist. She had been an investment banker, shopping in Bahrain’s high-end malls and socializing with friends. Demonstrations erupted at the Pearl Roundabout -- with its imposing 300-foot monument of six arches holding a pearl aloft -- in the capital city, Manama, on February 14, 2011, and only grew larger by the day as casualties and fatalities mounted. Still, she did not participate. Jihan instead believed the version of the uprising being offered on state-controlled television. In that narrative, the protesters were not peaceful, but armed and dangerous. They had, the government claimed, stolen blood-bags from the hospital and were pouring that blood on themselves to feign injuries for the media. Force was being applied by the regime rarely and only when it was absolutely necessary to disperse those demonstrating. Government spokespeople claimed Shi’a doctors at Salmaniya Hospital were taking patients and co-workers hostage. On the morning of March 13th, Jihan received a few text messages on her way to her office, appealing for people’s presence at the Pearl Roundabout because government forces were attacking. She decided to go and see for herself what was taking place. What she saw shook her to the core: unarmed protesters -- women and children among them -- chanting for democracy, freedom, and equality as riot police fired bullets, birdshot, and tear gas canisters directly into the crowd. Jihan stood to the side, crying, as women around her wailed and read aloud from Qur’an. It was there that Jihan drove next, and found more wounded patients than available beds. Protesters who were injured by birdshot or overcome by tear gas were lying on white sheets spread across the parking lot, awaiting treatment from overburdened doctors and nurses. Jihan realized that continuing with her former life was inconceivable. She visited Nabeel Rajab, co-founder of the Bahrain Center for Human Rights, to ask how she could help. Hard as it had been to come to him, Jihan told Nabeel, she could no longer stay silent and on the sidelines. A colleague of Nabeel’s trained Jihan in how to document human rights violations. Soon, she began doing so in cases involving medical professionals who had been imprisoned and tortured by the regime for treating injured protesters -- and for speaking out about the injuries they were seeing. By the time I met Jihan, she was an experienced activist with the Bahrain Center for Human Rights, and the founding vice president of the Bahrain Rehabilitation and Anti-Violence Organization (BRAVO), which seeks to aid in the treatment and rehabilitation of torture victims. Seasoned as she was, Jihan was thoroughly shaken by the time we left an underground clinic late one night. There, nurses had secretly stitched up the gaping head wound of 13-year-old “Hussein,” shot with a tear gas canister after a march that had, ironically, been called to protest the excessive use of tear gas. The words were scarcely out of his mouth when a shout went up that the riot police were on their way. Jihan and I peeled away in a friend’s jeep, looking out the back window as arcs of light from tear gas canisters and burning Molotovs streaked across the night sky. We thought we saw a tear gas canister hit a fleeing child in the head, and when Jihan received a phone call about the injury soon afterwards, we rushed to the underground clinic. She reached Hussein’s older brother by phone after several attempts. Hussein, he reported, was vomiting, not eating, and suffering from headaches. In typical fashion, Jihan sprang into action, contacting several doctors and medical professionals for consultation. There might be a serious problem, one that only a CT scan could detect, a specialist told her. Jihan’s worry deepened. There was good reason for all of them to fear the boy’s arrest. A few days earlier, Jihan and I had visited 11-year-old Ali Hasan, who had just been released after nearly a month in juvenile prison. He had been playing soccer outside, Ali told us, when armed riot police approached. His friends had managed to run away, but frozen in fear, he was arrested and charged with blocking the road in advance of a demonstration. What did he miss most while imprisoned? Ali responded without hesitation: his two little sisters and toddler-aged brother. The impact of the trauma does not escape the activists. Jihan described documenting the killing of Ahmed Ismail Hassan, a 22-year old citizen-journalist shot in the lower abdomen by live ammunition as he was filming a protest. Jihan had never seen so much blood. For two days, the smell of blood in her nostrils prevented her from eating and for two nights she could not close her eyes. I asked Jihan about the possibility of her own arrest. Juxtaposed with despair, however, is the resilience -- or sumud (steadfastness) -- that could be seen everywhere I looked. It was in the drawings of the children, who defiantly portrayed hands raised in a “V” for victory sign among images of bloodshed. It was in the graffiti depicting the Pearl Monument on walls all over Bahrain, with the stenciled message “We Will Return.” It was in the youth we secretly filmed in their villages after midnight spray-painting bus stops and light poles with the colors of the Bahraini flag. Well, you got your lesser evil. Now all we can do is hope that he will do less evil than he did in his first term. Bitter experience, and a nodding acquaintance with history -- and human nature -- mitigate mightily against such a hope, but we are where we are, and that's all we've got. In any case, I am eagerly looking forward to seeing how all our super-savvy lesser-evilist progressives "hold Obama's feet to the fire" in the months to come, as they promised so solemnly to do. You remember, don' t you? How they savagely condemned anyone who so much as thought about not supporting Obama, while pledging to unleash their righteous rage at his crimes and follies -- just as soon as he was safely returned to the White House. I'm sure they'll come down hard on him. "OK, now the inauguration's over, let's get to work. First of all, these drone attacks are criminal atrocities killing scores of innocent people. We can organize a protest march to--"
Super-savvy prog: "Hush your mouth! We can't undermine the president right now. We've got to help the Democrats get control of the House in 2014! Or do you want the evil Rethuglicans to keep blocking everything? Wait until after the mid-term elections, then we'll put the pressure on." "OK, we took back the House in 2014 with a slate of anti-abortion, pro-war, entitlement-slashing, deficit-hawk, Blue Dog Democrats. You said it was the savvy thing to do, the lesser evil to replace the anti-abortion, pro-war, entitlement-slashing, deficit-hawk Republicans. NOW can we go after Obama -- for the state terrorism of the drone campaign, the 'extrajudicial' murders, the 'disposition matrix,' the torture and imprisonment of the truth-teller Bradley Manning, the support of the brutal coup and murderous repression in Honduras, the fracking, the off-shore drilling, the 'Grand Bargaining' with Social Security and Medicare, the protection of CIA torturers, the global arms dealing, the growing prison population, the growing economic inequality, the ever-more draconian 'security apparatus', the bail-out of the oligarchs and the--"
Super- savvy prog: "Bite your tongue! We can't undermine the president right now! It will hurt the chances of his Democratic successor if we make Obama look bad! Or do you want Paul Ryan to be president? What kind of selfish moral purist are you?" Oh yeah, they're really gonna make Obama sweat. Things will be different this time around. I can't wait! It’s 2025 and an American “triple canopy” of advanced surveillance and armed drones fills the heavens from the lower- to the exo-atmosphere. A wonder of the modern age, it can deliver its weaponry anywhere on the planet with staggering speed, knock out an enemy’s satellite communications system, or follow individuals biometrically for great distances. Along with the country’s advanced cyberwar capacity, it’s also the most sophisticated militarized information system ever created and an insurance policy for U.S. global dominion deep into the twenty-first century. It’s the future as the Pentagon imagines it; it’s under development; and Americans know nothing about it. While the technological changes involved are nothing less than revolutionary, they have deep historical roots in a distinctive style of American global power. It’s been evident from the moment this nation first stepped onto the world stage with its conquest of the Philippines in 1898. Over the span of a century, plunged into three Asian crucibles of counterinsurgency -- in the Philippines, Vietnam, and Afghanistan -- the U.S. military has repeatedly been pushed to the breaking point. It has repeatedly responded by fusing the nation’s most advanced technologies into new information infrastructures of unprecedented power. During two extraordinary decades, American inventions like Thomas Alva Edison’s quadruplex telegraph (1874), Philo Remington’s commercial typewriter (1874), Melvil Dewey’s library decimal system (1876), and Herman Hollerith’s patented punch card (1889) created synergies that led to the militarized application of America’s first information revolution. To pacify a determined guerrilla resistance that persisted in the Philippines for a decade after 1898, the U.S. colonial regime -- unlike European empires with their cultural studies of “Oriental civilizations” -- used these advanced information technologies to amass detailed empirical data on Philippine society. In this way, they forged an Argus-eyed security apparatus that played a major role in crushing the Filipino nationalist movement. The resulting colonial policing and surveillance system would also leave a lasting institutional imprint on the emerging American state. On balance, all this computerized data helped foster the illusion that American “pacification” programs in the countryside were winning over the inhabitants of Vietnam’s villages, and the delusion that the air war was successfully destroying North Vietnam’s supply effort. Despite a dismal succession of short-term failures that helped deliver a soul-searing blow to American power, all this computerized data-gathering proved a seminal experiment, even if its advances would not become evident for another 30 years until the U.S. began creating a third -- robotic -- information regime. By 2009, the Air Force and the CIA were already deploying a drone armada of at least 195 Predators and 28 Reapers inside Afghanistan, Iraq, and Pakistan -- and it’s only grown since. These collected and transmitted 16,000 hours of video daily, and from 2006-2012 fired hundreds of Hellfire missiles that killed an estimated 2,600 supposed insurgents inside Pakistan’s tribal areas. Though the second-generation Reaper drones might seem stunningly sophisticated, one defense analyst has called them “very much Model T Fords.” Beyond the battlefield, there are now some 7,000 drones in the U.S. armada of unmanned aircraft, including 800 larger missile-firing drones. By funding its own fleet of 35 drones and borrowing others from the Air Force, the CIA has moved beyond passive intelligence collection to build a permanent robotic paramilitary capacity. As Washington seeks to surveil the globe from space, the world might well ask: Just how high is national sovereignty? Absent any international agreement about the vertical extent of sovereign airspace (since a conference on international air law, convened in Paris in 1910, failed), some puckish Pentagon lawyer might reply: only as high as you can enforce it. And Washington has filled this legal void with a secret executive matrix -- operated by the CIA and the clandestine Special Operations Command -- that assigns names arbitrarily, without any judicial oversight, to a classified “kill list” that means silent, sudden death from the sky for terror suspects across the Muslim world. At this apex of the triple canopy, 200 miles above Earth where the space drones will soon roam, orbital satellites are the prime targets, a vulnerability that became obvious in 2007 when China used a ground-to-air missile to shoot down one of its own satellites. In response, the Pentagon is now developing the F-6 satellite system that will “decompose a large monolithic spacecraft into a group of wirelessly linked elements, or nodes [that increases] resistance to... a bad part breaking or an adversary attacking.” And keep in mind that the X-37B has a capacious cargo bay to carry missiles or future laser weaponry to knock out enemy satellites -- in other words, the potential capability to cripple the communications of a future military rival like China, which will have its own global satellite system operational by 2020. Operation of this complex worldwide apparatus will require, as one DARPA official explained in 2007, "an integrated collection of space surveillance systems -- an architecture -- that is leak-proof." Thus, by 2010, the National Geospatial-Intelligence Agency had 16,000 employees, a $5 billion budget, and a massive $2 billion headquarters at Fort Belvoir, Virginia, with 8,500 staffers wrapped in electronic security -- all aimed at coordinating the flood of surveillance data pouring in from Predators, Reapers, U-2 spy planes, Global Hawks, X-37B space drones, Google Earth, Space Surveillance Telescopes, and orbiting satellites. By 2020 or thereafter -- such a complex techno-system is unlikely to respect schedules -- this triple canopy should be able to atomize a single “terrorist” with a missile strike after tracking his eyeball, facial image, or heat signature for hundreds of miles through field and favela, or blind an entire army by knocking out all ground communications, avionics, and naval navigation. However, as in Vietnam, history offers some pessimistic parallels when it comes to the U.S. preserving its global hegemony by militarized technology alone. Even if this robotic information regime could somehow check China’s growing military power, the U.S. might still have the same chance of controlling wider geopolitical forces with aerospace technology as the Third Reich had of winning World War II with its “super weapons” -- V-2 rockets that rained death on London and Messerschmitt Me-262 jets that blasted allied bombers from Europe’s skies. Complicating the future further, the illusion of information omniscience might incline Washington to more military misadventures akin to Vietnam or Iraq, creating the possibility of yet more expensive, draining conflicts, from Iran to the South China Sea. Writing in Foreign Policy Magazine Hillary Clinton gave the world sufficient, satisfactory, “courteous, and “fair” notice of where the United States’ empire would soon be repositioning, reassessing, reevaluating, and indeed newly transfixing its ever-wrongheaded magisterial/imperial gaze. The article was penned in the November 2011 edition of the house mag of militaristic benightedness, bellicosity, and consecrated hegemonical (global) carte blanche. After an abundance of doomed contrivances — draining the public coffers — in the Middle East, it would seem that Pax Americana is wanting to try its hand at a different batch of newfangled malicious schemas. And not only that, but more ill-portended uber adventuristic conquests/escapades too. And so this would seem, to be very much in the vein of doing the same thing over and over again (only with an alternative backdrop). The one-trick pony of the current state of affairs, for the world’s profligate Brobdingnagian military spender. Conversely, as a humanitarian Goliath, the data is not there to bear out that kind of beneficent standing either. And so to think, a “great” hollower out of the middle class (and the country), Mitt Romney, is running neck and neck in the race to be our forthcoming commander-in-chief. A man whose positions change, as do the cumulonimbus clouds in the sky! One thing that we can all be assured about, that won’t change — certainly — is more war(s). Whether a “peaceable Democrat”, or an uber belligerent neocon dunderheaded lily-livered thug, carnage will, most assuredly, be on the docket this Winter/Fall. The “polarization” on militaristic empire is a chimera. And one that the “mainstream” media does not like to touch. By omission they are certainly part and parcel of it; quite possibly because they are in fear of being tarred and feathered as anti-patriotic — or “deserving” of a fate even worse! The wars are clearly not fought for our own national defense and security, but to even raise this “daring” truth is to be considered to be severely despicable, base, dubious, improper and unacceptably crude. Though a plethora of issues are wholly agreed upon (indefatigably), by “both sides”, this particular one, I think, consistently deserves the requisite attention and appreciable care. What’s of greater concern than war and peace, life and death, empire or a robust and abundantly supported dispensation on the home front? Don’t ask a Democrat nor a Republican politician unequivocally, because you’ll — more than likely — be unpleasantly surprised by what you’ll hear. "The weight of evidence clearly indicates that sanctions caused massive human suffering among ordinary Iraqis, particularly children. We, the US and UK governments, were the primary engineers and offenders of sanctions and were well aware of this evidence at the time but we largely ignored it or blamed it on the Saddam government. [We] effectively denied the entire population a means to live." ”Yes, I agree,” he replied, “I feel very ashamed about it ... Before I went to New York, I went to the Foreign Office expecting a briefing on the vast piles of weapons that we still thought Iraq possessed, and the desk officer sort of looked at me slightly sheepishly and said, 'Well actually, we don't think there is anything in Iraq.' "